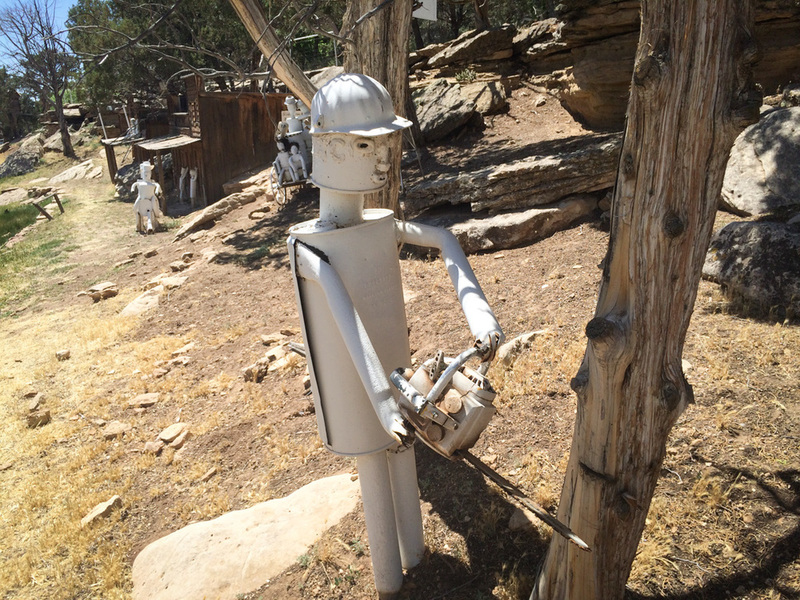 As we drove toward Durango yesterday afternoon, we stopped in Cortez, CO to visit a place where a man has spent is spare time decorating his property with figures created from mufflers and scrap metal. I loved walking around looking at these guys. Thank you Roadside America!